I used the top row of paint/mist, die cut, and Simple Stories. The Simple Stories line is Casual Christmas, the word "merry" is a die cut and I used some gold and burgundy mists. When my kids were little, they had this small artificial tree in their room and they decorated it with ornaments they made and some of their favorite ornaments from our tree. Hard to believe these pictures are 30 years old - time sure does fly! You did great! I love the layout. The colors are beautiful. 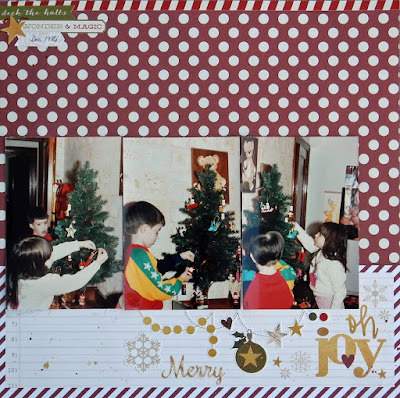 Old pictures are really precious, full of darling memories:)Love the layout!Thank you for joining us at Scrap Our Stash! What a fantastic and adorable page. Awesome stash use. Thanks for your entry in the The SOS challenge. Love that Simple Stories line - and it is perfect for your photos! Great Layout! Thanks for joining us at Scrap Our Stash! Adorable sweet layout! Love your papers choice! Thanks for joining us at Scrap Our Stash! 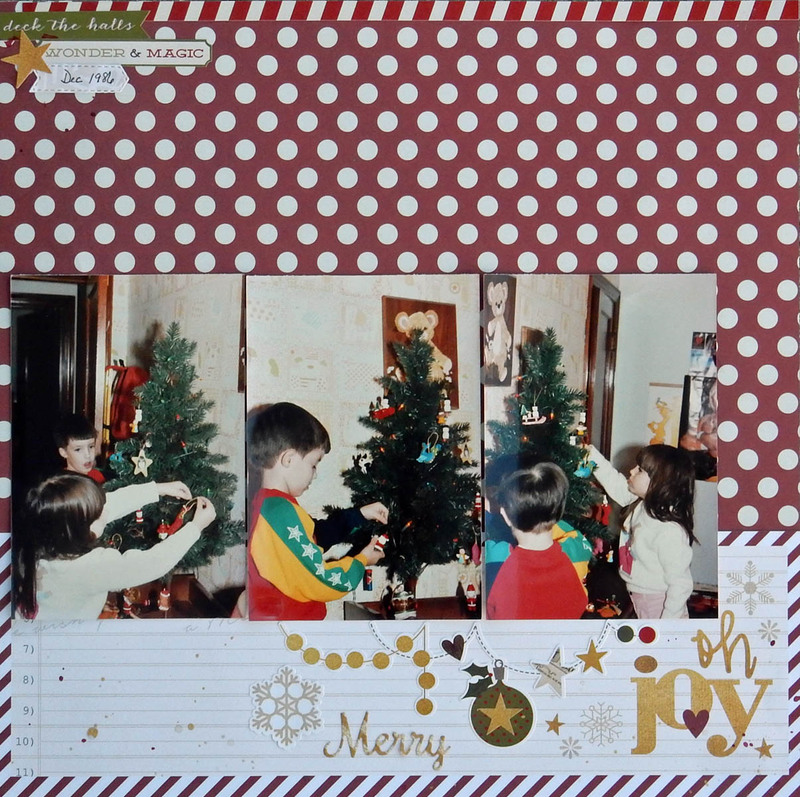 So great to scrap old photos! Love your page :)Thanks for Tic Tac Toe-ing with Scrap Our Stash!